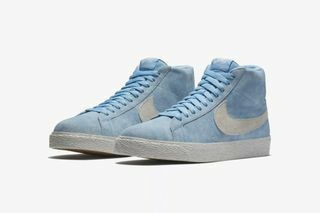 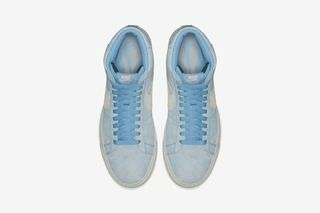 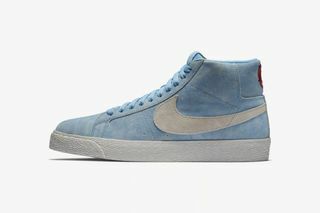 Key Features: A faded light blue suede upper, Lance Mountain-designed English rose on the heel, “Nike SB” stencil logo on the sock liner, white Swoosh on both sides, Nike branding on the tongue, white midsole, and gum outsole. 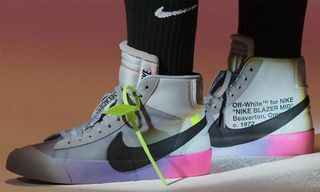 The sneaker features Mountain-designed artwork in the form of an English rose on the heel and a “Nike SB” stencil logo on the sock liner. 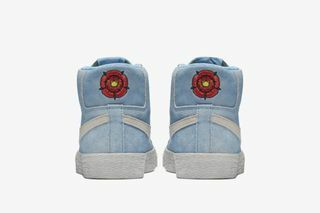 The flower was inspired by the skater’s English father and seems to be inspired specifically by the red rose of Lancaster, which is the symbol of Lancashire county in England’s northwest. 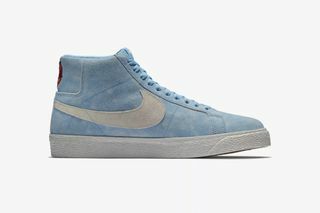 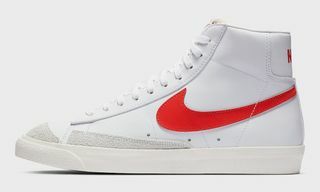 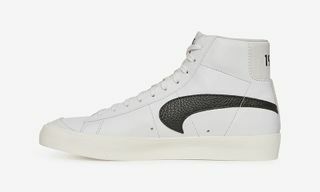 This Blazer follows in the footsteps of 2014’s popular mismatched Lance Mountain x Nike Air Jordan I collaboration, as well as last year’s rainbow-Swoosh Blazer Mid. 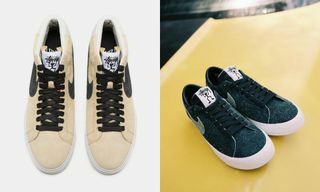 Mountain’s involvement always adds something special to the mix, while the sneaker’s relatively low price of $85 makes it an attraction summer rotation option. 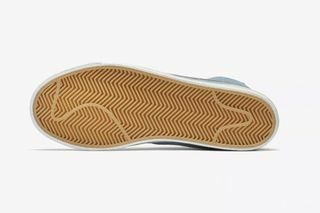 Flip through the images above and then leave your thoughts on the project in the comments.